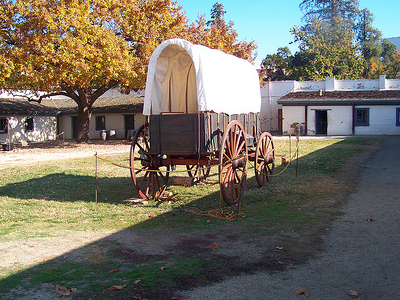 Sutter's Fort State Historic Park is a California State Historic Park in Sacramento, California. It includes Sutter's Fort and the California State Indian Museum. 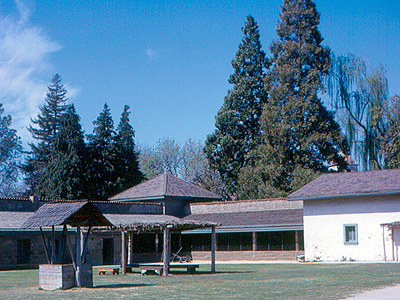 The compound was built near the junction of the American and Sacramento Rivers and is located at what is now the intersection of 27th and L Streets in the Midtown neighborhood of the city of Sacramento, California. The Main Building of the fort is a two story adobe structure built between 1841 and 1843. 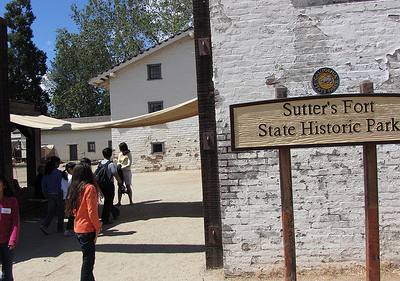 This building is the only original surviving structure at the reconstructed Sutter's Fort State Historic Park. It was in here on January 28, 1848 that James Marshall met privately with Sutter in order to show Sutter the gold that Marshall had found during the construction of Sutter's sawmill along the American River only four days earlier. Sutter built the original fort with walls 2.5 feet (0.76 m) thick and 15 to 18 feet (5.5 m) high. Sutter's Fort is located on level ground at an elevation of approximately 20 feet (6.1 m) above mean sea datum. The slope elevation decreases northward toward the American River and westward toward the Sacramento River. Slope elevation gradually increases to the south and east, away from the rivers. All surface drainage flows toward the Sacramento River. Groundwater in the vicinity flows south-southwest toward the Sacramento Delta; however, after peak rainfall, because of the swollen Sacramento River, the groundwater flow can actually reverse and flow away from the river. Here's the our members favorite photos of "Forts in Sacramento". Upload your photo of Sutter's Fort!